Stange to say, I became enchanted with street lights on our tour. I was first charmed by these, above and below, located at Windsor Castle and kitted out tiny crowns. The two lamps below stand on the Queen’s Walk at the Embankment, south of the River Thames. I didn’t really get into my streetlight stride until Paris, where I took almost as many photos of lights as I did of birds and the Eiffel Tower – see below. I’m thinking that I might print the streetlamp photos in black and white and frame them and make a grouping to hang on the wall. I’m also thinking that I shouldn’t be trusted with a camera. 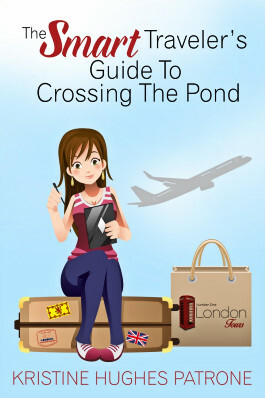 On Tuesday, June 15, Kristine, Brooke and Victoria took the train to Windsor to meet Hester Davenport, a well-known scholar on Fanny Burney and Jane Austen, as well as the author of several books. At right, her biography of Mary Robinson, who was not only the Prince’s Mistress, but an actress, poetess and author as well. More later in this blog. Hester lives in Old Windsor and is an avid historian of her home town. She is also the former director of Dr. Johnson’s House in London. We had never met until this day and her kindness and gracious hospitality was remarkable. We share some friends, particularly Jo Manning, an occasional contributor to this blog. Hester had just returned from the Burney Society meeting in Paris where she was one of the speakers. She had a perfect day planned for us, complete with some special surprises. We first had a chuckle at the street sign that is near the castle. Peascod Street is pronounced Pes’cod Street. The name derives from peapods, a staple of the medieval diet, according to a lovely book presented to Kristine and me by Hester Davenport: Windsor: Fun, Facts, History & Legend by Caroline Wagstaff. We headed first to the Guildhall, on the High Street, the center of Windsor government. 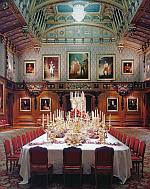 It is the venue in which Prince Charles married Camilla, Duchess of Cornwall in 2005. On the north side of the building is Queen Anne. On the south side is her husband, Prince George of Denmark. One the ground level is a market area, once used for local produce. A better view of the entire structure. Take note of the crooked building at the left. And see below. 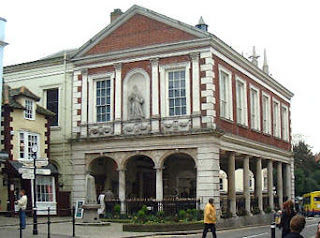 After showing us around the Guildhall , Hester took us downstairs to the archive of local newspapers where she and other volunteers are indexing several hundred years worth of the Windsor and Eton Express. We met Sue, one of the volunteers who was busily working away. Hester, bless her heart, knew of Victoria and Kristine heading to Waterloo and our interest in the Duke of Wellington. 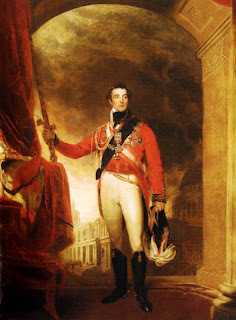 In advance of our visit she had marked some issues from 1815 in which the Duke’s Dispatch announcing the victory was reported, as well as some stories about the returning soldiers and events held in Windsor in their honor. We were really knocked out by such thoughtfulness. Thank you again, Hester and Sue. A perfect addition to our wonderful visit. This is Market Cross house, in which the upper and lower halves seem set on a different slant!! It’s a popular tourist attraction, of course, and many explanations have been given for the odd shape of the house. I like the idea best that the builders of the Guildhall next door tried to push the narrow structure away from its elegant red bricks. o believe a word of it! Caroline Wagstaff’s book tells us that the saying “The world’s my oyster” is first found in a speech by Falstaff in The Merry Wives of Windsor. Set upon one of the walls near the castle is this plaque honoring Mrs. Mary Delaney, an artist and “friend of royalty” and the author Fanny Burney who served Queen Charlotte as Keeper of the Robes for some years. 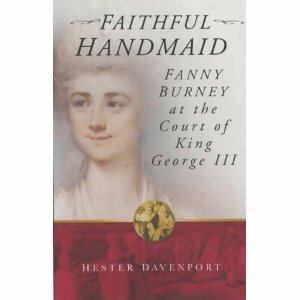 Hester also is the author of Faithful Handmaid: Fanny Burney at the Court of King George III. The mid point of our day with Hester is reported in our blog on Royal Windsor, so now we will skip ahead to later in the afternoon, after we had seen the Queen, the Castle and environs and enjoyed a lovely outdoor luncheon. Brooke left us to survey the shops (and pubs) while Kristine and Victoria continued our adventures with Hester. On the way to the car park, we strolled past this handsome memorial, recently cleaned and renovated. It was designed by famed architect Sir Edward Lutyens (1869-1944). It is a fountain dedicated to the memory of King George V (1865-1936). There are thousands of swans on the Thames and about a third of them belong to the Queen. Every July, the ceremony of Swan Upping marks all the swans and counts them. In years long gone by, swans were an integral part of royal feasts. Hester drove us to Old Windsor, a village just south of the main town, where she lives. We stopped at the Church of St. Peter and St. Andrew, first built in 1216, and rebuilt in 1863. We went to the churchyard to see the tomb of Mary Robinson (1757-1800), nee Darby. 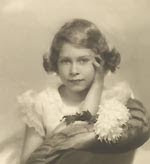 Mary was an actress when the young George, Prince of Wales (later George IV) saw her appearing as Perdita in Shakespeare’s A Winter’s Tale on the London Stage. Calling himself Florizel, he carried on his first “public” affair with her. Later she returned to her writing career and published many poems and some novels. 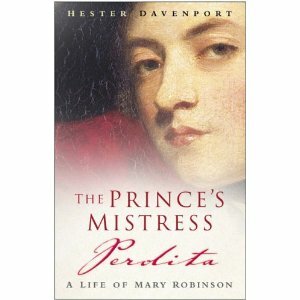 She died at an early age, never able to escape her reputation as a former mistress of the Prince of Wales and establish herself as a serious writer. After our visit to Mary, Hester took us to her lovely home for tea. We enjoyed the late afternoon in her garden, which her husband showed us around. They have a long garden with many kinds of plantings, including a charming little pool at the terrace. Many thanks to Hester for our PERFECT day in Windsor. She carefully thought out every detail and we truly appreciate it. An inforgettable day!! Were we interested in seeing the Royals?!? Honestly, I don’t know if all the pomp and circumstance we were treated to from then on was connected to the Royals and Ascot, but the entire day was pretty royal, if you ask us. First of all, we saw the Guards approaching the Castle . . . .
Victoria believes they were Welsh Guards (as seen from the Guildhall). Hey, haven’t I seen these guys on a postcard somewhere? and visited the nearby exhbition of photos of the young Queen Elizabeth and her late sister Margaret, plus the royal children and grandchildren. Wasn’t (isn’t) she adorable? Soon, it was time for us to queue up to see the Royal motorcade leaving the Castle for Ascot and so we all got wristbands for re-entry into the Castle later and went to claim our places along the drive leading to Ascot. Ascot, she transfers into an open carriage, as does the entire royal party, to parade into the racetrack in their finery. We saw quite a few people around town in the morning dressed in those quirky hats that British ladies so adore. The crowd wasn’t as large as I’d expected and we found spots right near the Castle gates. Can I tell you how thrilling this was? Of course, it can’t compare to that time I encountered Prince Charles by chance in London, but it certainly came in second. What a bunch of tourists. You’ll also have heard me asking where Chuck was, as I hadn’t spotted him then. I was a tad occupied with gawking, waving and taking video. However, the blow-up of the photo taken by Victoria below may indeed show Chuck in the front passenger seat. That’s Camilla in the rear in red. 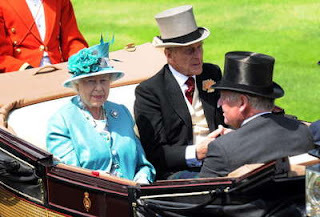 Here’s a picture from the web of what she looked like in the carriage, June 15, 2010, at Ascot. At this point, we returned to the Castle in order to complete our tour, our Royal sightings now just a fond memory. 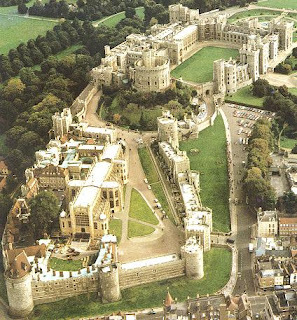 In the above aerial photo, the Queen’s residence in the Upper Ward is at the top, right. The round tower and its garden/moat is in the upper middle, and the state rooms are in the area just above the Round Tower, at the right. Toward the lower left, you can see St. George’s chapel and the middle and lower wards surrounded by thick walls. Whoops, another royal in the sign on the ticket office, which one suspects might be meant to portray Henry VIII. and this equestrian statue of Charles II as you’re heading into the Castle grounds. 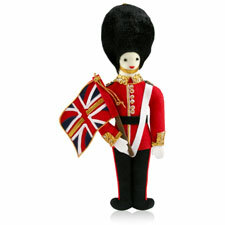 Finally, Kristine bought some ornaments to add to her Royal Christmas tree ornament collection, this guard being one of about eight she finally came home with, including ornaments meant to be the young Victoria and Albert. Tower is the dominant feature of the castle. It is sort of a remnant from the original fortress built here by none other then William the Conqueror almost a thousand years ago. All over the castle grounds are lovely gardens. Just a couple of the gorgeous roses that proliferate in England in June. As we walked back to the Tourist’s entrance to the state rooms, we stopped to admire the view of Eton College, across the river from Windsor. A few more guards on patrol. 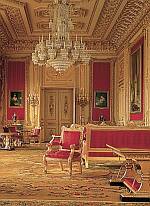 The state rooms are overwhelming in their magnificence. These areas have been updated since the days of George IV (1762-1830, but are based on the designs he approved for the remodeling of Windsor. We all know him (once the Prince Regent) as a profligate spender, but much of what he created has lasted quite well. Above, the Grand Staircase. 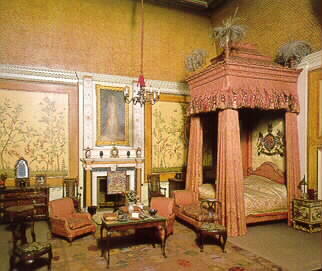 At left, the Crimson Drawing room. 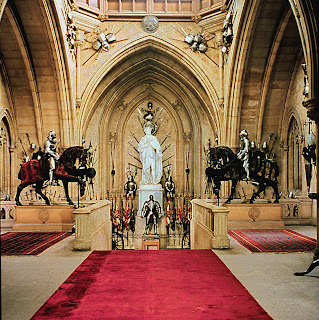 The Waterloo Chamber is adorned with paintings of all the Allied Heads of State as commissioned by George IV from Sir Thomas Lawrence. Kristine and Victoria are particularly fond of the portrait of our pal, Artie, the Duke of Wellington. When we finished touring the State Rooms in Windsor Castle, we sat outside and rested up (all but the photographer, of course). Left to right: Kristine (holding her ornaments), Brooke (thrilled to have seen Henry VIII’s grave0 and Hester Davenport (the best guide for a day out in Windsor). We were right outside St. George’s Chapel. 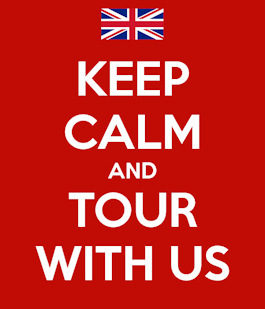 Their website has a 360 degree tour. Apartments and meetings rooms are built into the walls of the lower ward. Here is one rather colorful section. About 300 people work in the castle and about half live on the premises. If you plan a trip to Windsor, just a quick train ride from London, be sure to allow a whole day to see the Castle, the chapel, the grounds, the town and its charming restaurants and shops. Here are a bunch of signs. Some funny, some fascinating for various reasons. In case you can’t make this out, it reads: “St. James Theatre. On this site stood the St. James Theatre demolished in 1957 despite an epic campaign of protest led by Vivien Leigh and Sir Laurence Olivier. George Alexander, manager from 1890-1918, staged both Oscar Wilde’s ‘Lady Windemere’s Fan’ and ‘The Importance of Being Earnest’ for the first time.” The sign was put up by Theatreland: Heart of the Performing Arts in London, a joint venture of the City of Westminster and the Society of West End Theatres. It sits just outside the still-existing Golden Lion Pub, 25 King Street, St. James, to which Almack’s patrons occasionally were known to have retired for a drink during the Wednesday night balls. Don’t you love pubs named after architects? The Henry Holland can be found at 39 Duke Street in Marylebone. Holland (1745-1806) did work for the Prince Regent at Carlton House and the original Brighton Marine Pavilion, and he designed Brooks’s Club, St. James St. as well as many other English sites. Some folks don’t care for the new government in Westminster. All the pubs had World Cup games!!! A shop in the Seven Dials neighborhood, above and below. What in the world is elastic glue anyway? The Tate Britain Gallery had a big sign advertising their Rude Britannia exhibition of satirical drawings, cartoons, and so forth. The Brits excel at this kind of fun, whether social, political or artistic. This sign reads “Nell Gwynn Chinese Restaurant. Eat and drink in the house used by Charles II and Nell Gwynn.” So that’s how the mistress of a king ends up after all these years, serving egg rolls and Peking duck! Maybe this is a little better. After all the Belgians are renowned for their beer, as well as their chocolate. Even on the 195th anniversary of the Battle of Waterloo, the Wellington Cafe near the battlefield advertised the World Cup on tv. Incidentally, this was about the only mention of the victor of the battle that we found around here. Seemed like all the souvenirs were of Napoleon. Remember, guys, he lost!!! On the second afternoon Ed was joining us in London, he and I (Victoria) did one of our favorite things — took a London Walk. We’ve taken many in previous years, but on Thursday, June 17, we chose Old Westminster, guided by David Tucker, a fellow Yank, whose knowledge of history and legend is — well, legendary. The picture above at right was taken before the tour looking across Parliament Square with its ever-changing groups of protestors. This group opposed the current Afghan war. Big Ben stands at the northern end of the Parliament Buildings and the dark structure with the prominent chimneys is the relatively new Parliamentary office building. That is where we met David at the Westminster Tube Stop. Above and left is the view from the river frontage of the Parliamentary Office Building, looking acrosse the Thames to the London Eye and the former County Hall, now a hotel, art gallery and aquarium. At right, a statue of Boudica, the English/Celtic Queen who tried to stop the Romans about AD 60. Various alternate spellings: Boudicca, Boadicea and others. At the other end of the Westminster Bridge stands this coade-stone lion. This is another hint about that story of coade-stone I am promising to tell someday. Looking at the river front of the Houses of Parliament from the Bridge, the House of Commons, its offices, library, etc. is on the right. The House of Lords is on the left. David told us all sorts of interesting symbolism in the decoration and coloring of the buildings, but I will not steal his thunder by repeating every word (as if I could remember!). 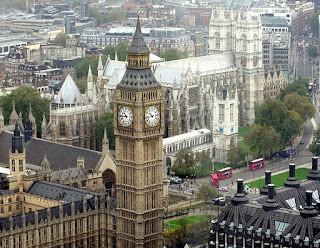 On the street side of the building, Westminster Hall is quite prominent, many centuries older than the rest of the building, as it survived the great fire of 16 October, 1834, along with a few other parts of the Palace of Westminster, as the complex is properly known. The statue above someone’s hands is of Oliver Cromwell (1599-1658). 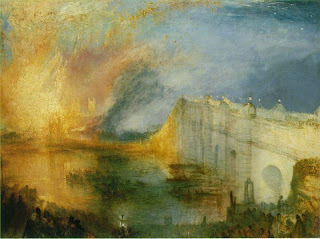 J. M. W.Turner watched the Houses of Parliament burn and painted the scene. Reconstructions took from 1840 to 1870. 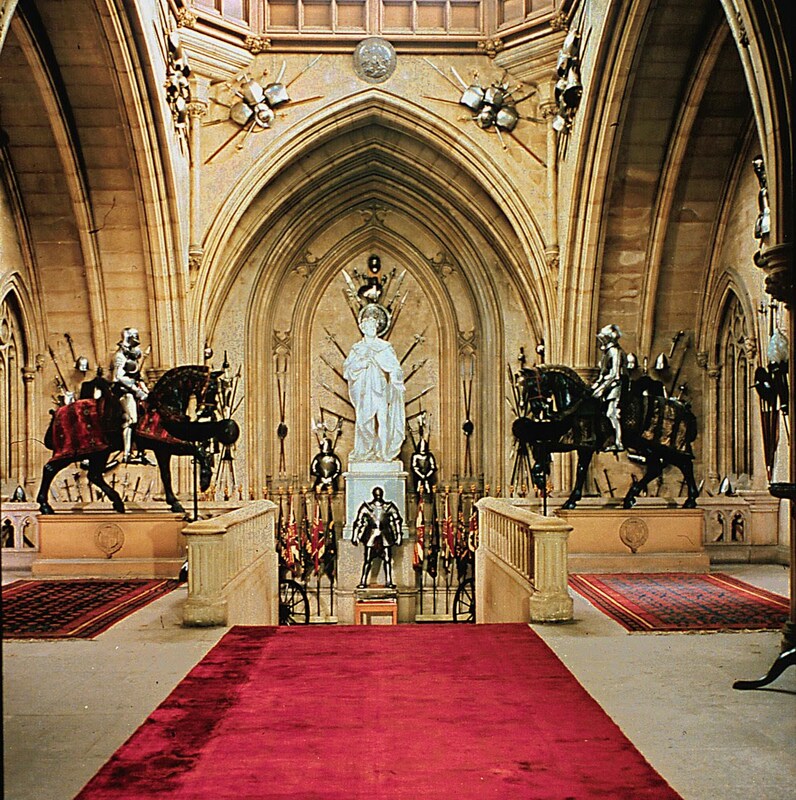 The architect was Charles Berry, assisted by Augustus Pugin, their style was the popular Perpendicular Gothic. Here is an aerial shot showing the river frong, with the tower of Big Ben on the right and the tallest point, the Victoria Tower on the left (south). Back on the street, looking across at the ornate House of Lords crowned by the Victoria Tower on the right. If I turned around from this position I would be looking at the apse end of St. Margaret’s Church, the church of Parliament, which stands rather in the shadow of Westminster Abbey. This file shot taken from the London Eye shows Big Ben and the edge of the Palace of Westminster on the left, looking southwest. The small white roof and church tower in the middle is St. Margaret’s and the large building behind it is the Collegiate Church of St. Peter, commonly known as Westminster Abbey. On our walk we crisscrossed the streets and proceeded south of St. Margaret’s and the east end of the Abbey to see the Jewel Tower, c. 1365 in the reign of Edward III, aka the “King’s Privy Wardrobe”. At left, the apse end of the Abbey, toward the street across from the Palace of Westminster. The monument is George V (1865-1936). He became King upon the death of his father Edward VII in 1910. At the south end of the Palace of Westminster stands a lovely park called Victoria Tower Garden. 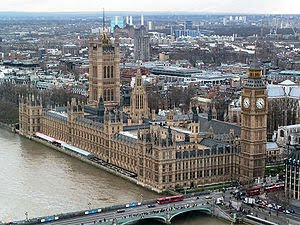 This is a view of the Palace of Westminster is one I had never seen before. Emmeline Pankhurst (1858-1928) is honored with a bronze memorial in Victoria Gardens erected in 1930. She campaigned for women’s suffrage, enduring several improsonments, but backed the government in WWI, causing a rift in the suffragist movement. 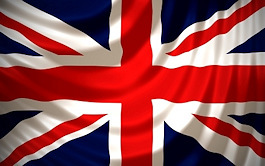 Women gained the right to vote in Britian after the war. I could not resist taking this shot of what apeard to me a whimsical structure in the Garden. Later I learned it is the Buxton Memorial Fountain, commemorating the 1834 emancipation of the slaves in the British Empire. In 1865 Charles Buxton, M.P. designed and erected it in honor of his relative Sir T. F. Buxton and others who worked with William Wilberforce to end slavery. The Fountain was conserved and rededicated in 2007, the two-hundreth anniversary of the end of the British Slave trade. The private part of Westminster is found in the streets south of the Jewel Tower, where many Georgian houses are the scenes of political receptions and conferences. David told us many entertaining stories about the poltical confabs that happened around here, during WWII and the Thatcher administration too. Then he led us around a corner, through the Dean’s Yard, past Westminster School and the School for the Abbey Choirboys, and all of a sudden we were standing in front of the Abbey.